Predators forward Austin Watson’s 27-game suspension has been reduced to 18 games by independent arbitrator Shyam Das, the NHL announced Thursday. The NHL and NHLPA have announced Nashville forward Austin Watson’s 27-game suspension has been reduced by Arbitrator Shyam Das to cover the first 18 games of this season. Watson, who was originally suspended Sept. 13 for “unacceptable off-ice conduct,” was arrested in Tennessee on June 16 after police were called to a gas station in response to a possible domestic violence situation. When officers arrived Watson allegedly told police he had been involved in an argument with his domestic partner and he said he pushed her. When officers examined the woman they found she had red marks on her chest and she alleged Watson caused them. The Predators released a statement on the reduction in Watson’s suspension Thursday. The NHL is the only major sports league in the United States to not have a set policy for domestic violence suspensions. 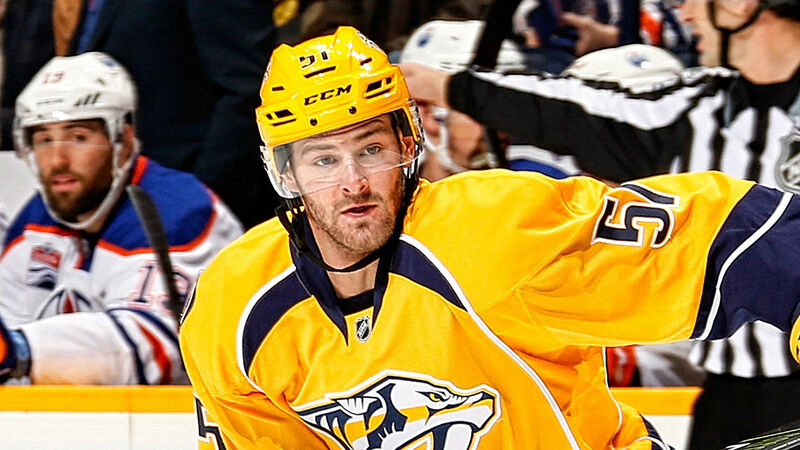 Watson will be eligible to return to the Predators’ lineup when Nashville faces the Coyotes on the road Nov. 15.